New Winter 2018: Wonderful childhood memories are made in the kitchen, and moms cherish those moments too! The baking cookies with mom 2 children personalized Christmas ornament is a bright and cheery way to capture those memories forever. Mom and kids look festive in their Santa caps, and you can almost smell the deliciously sweet treats they are showing off. Our lettering artists turn these kids ornaments into favorite keepsakes by adding the custom details you provide. 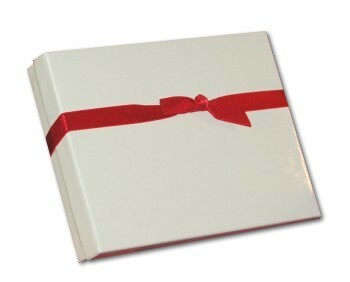 They'll be painted on in a very attractive font, and the ornament arrives in our classic velvet gift bag. 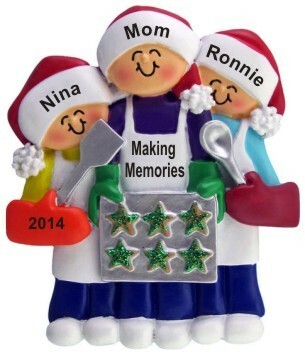 Keep memories fresh with a decoration that will become more valued with each year, the baking cookies mom 2 children Christmas ornament personalized from Russell Rhodes. Perfect for Mom Nov 16, 2014 Stacie L.